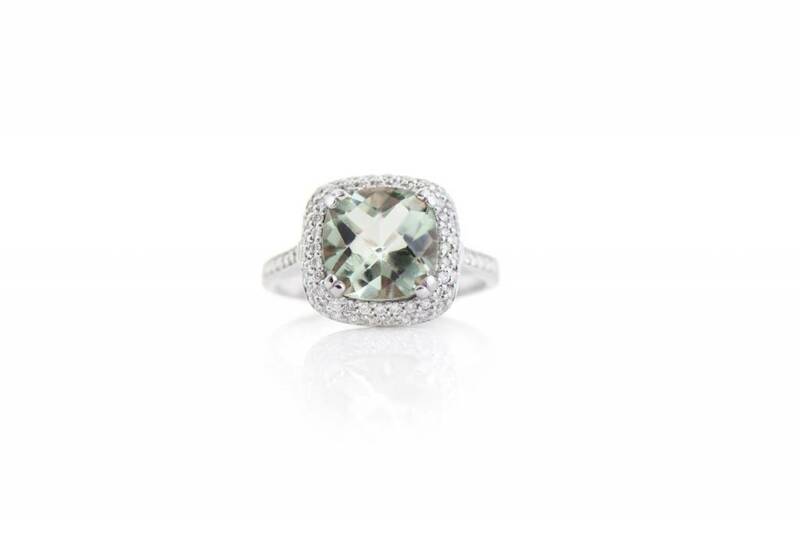 Ladies diamond and green amethyst ring crafted in 14k white gold. 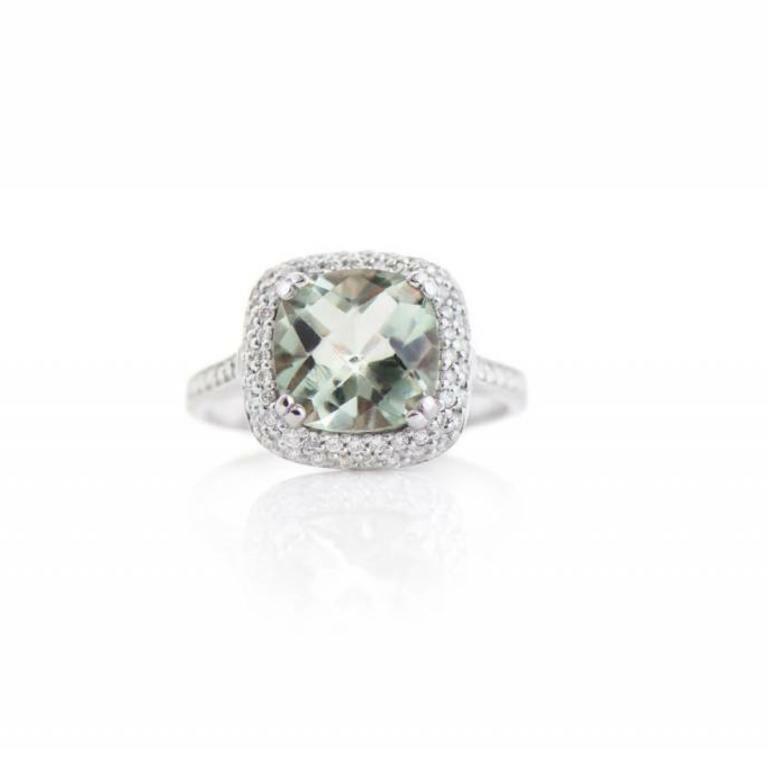 It is set with one green amethyst at center that is cushion cut shape and laser cut across the top. This amethyst is surrounded by 68 round brilliant cut diamonds in a double row, micro pave set halo which also extend half way down the shoulders.